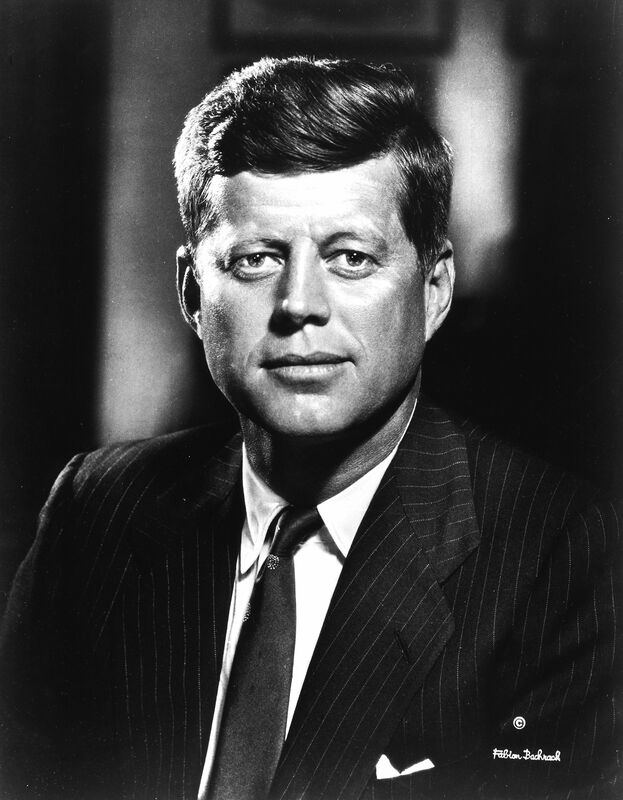 While yesterday marked the remembrance of President Kennedy’s tragic assassination by Communist Lee Harvey Oswald, it is usually not remembered what brought the President to Dallas fifty years ago. Set to address the Dallas Citizen’s Council at the Trade Mart that day, President Kennedy was not only there to bolster flagging national support for reelection — hardly certain that he would even be renominated — but he was also there to gain support for a stronger national defense and an $11 billion permanent, across-the-board tax cut. The tax cut had passed the House two months before and needed to survive the Senate. He had prepared the ground for this sharp cut since his election — taking top rates from 91% to 65% and bottom rates all the way down to 14% from 20%, also cutting corporate rates to 19.5% from 25%. It was not to be a temporary measure helping a few, it was to be permanent, helping Americans in every bracket. Even more importantly, we need a return to the remembrance of JFK as he was instead of how modern revisionists, starting with the late Mrs. Kennedy, wish him to be. One cannot fault the widow’s grief for the loss of her husband, but, as Piereson observes, one cannot rationally join her and the chorus of voices since who have blamed America for killing the President (Camelot and the Cultural Revolution p.59, 178). They have blamed America first for every societal ill ever since. Shortly after his death, it was she who lamented, “He didn’t even have the satisfaction of being killed for civil rights…It had to be some silly little communist. It even robs his death of any meaning.” His life had meaning but that meaning did not conform to the higher demands of an agenda already at work to recast history. In that pursuit of an alternative meaning, the modern Left could not bring itself to accept that the ideology they had courted for thirty some years had produced this heinous act. Consequently, the radical Left turned to the only conclusion consistent with their refusal to see communism for what it was — in JFK’s publicly announced conviction, a “Godless tyranny” and “evil” system (Stoll, JFK, Conservative p.64-6). America had to be the problem, they shouted. Thus began a narrative creating “Camelot,” publishing Mark Lane’s conspiratorial theories and now equating 1960s Dallas with the “angry” Tea Party movement of today. It is a fifty-year drum-beat that shrouds the truth, denying what JFK believed, in order to salvage a political worldview he never held. As we know, an earlier son of Massachusetts, has also been the recipient of decades of mischaracterization and politically-motivated revision: Calvin Coolidge. 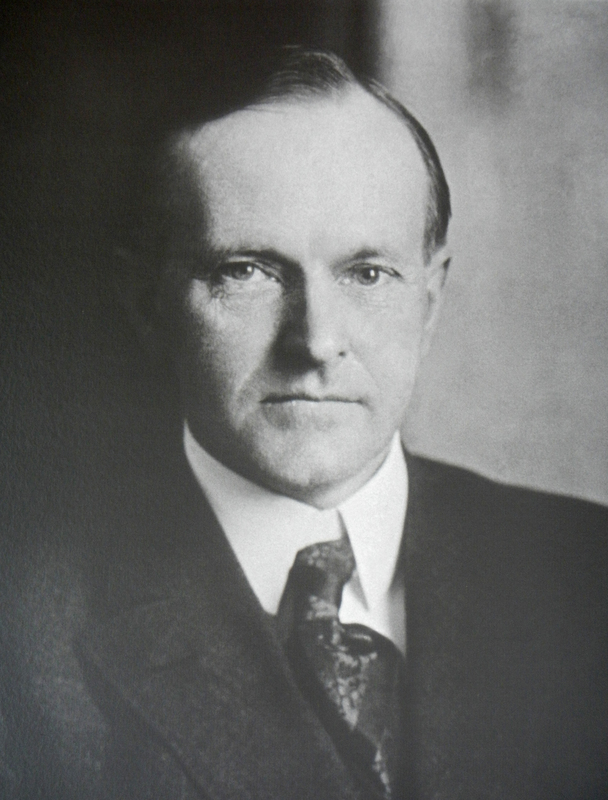 It is recalled that Coolidge’s only electoral loss was to a Kennedy, when John J. Kennedy narrowly won a seat on the School Board shortly after Coolidge had married. When Coolidge learned his loss was due to not having children yet, he replied, “Might give me time.” He had been married barely two months. 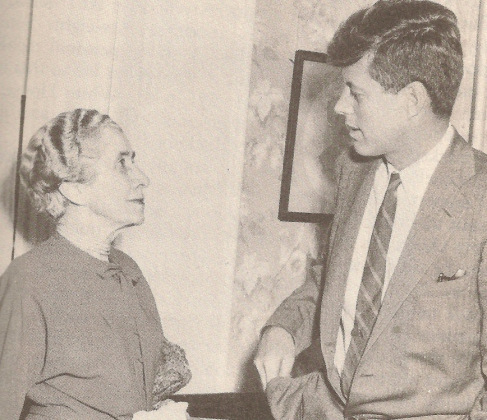 “As a fellow trustee of Clarke School for the Deaf in Northampton I have a strong personal recollection of her untiring devotion and labors throughout her life to this most worthy cause…Since her days in the White House she continued to epitomize the qualities of graciousness, charm and modesty which marked her as an ideal First Lady of the Land” (Ishbel Ross, Grace Coolidge and Her Era, p.312). In August 1962, President Kennedy enthusiastically sponsored the Coolidge Memorial Foundation’s efforts to promote Coolidge’s legacy nationwide. His support for both Mr. and Mrs. Coolidge speaks not only to their selfless service but also to JFK’s sincere belief that America remained exceptional and that lower taxes, economic growth, religious liberty, protection of property, the rights of the individual against the State, private enterprise, respect for law and order, moral leadership at home and abroad, opposition to unbridled government spending and the eventual defeat of socialism were principles worthy of preserving, regardless of political affiliation. To Kennedy as to Coolidge, they were principles every one of us could proudly champion because America is worth preserving. By keeping America strong, everyone is better for it. This is the Kennedy not allowed to be known by too many self-appointed gatekeepers of our history. The speeches he gave on August 13, and December 14, 1962, and again, his State of the Union Address, January 14, 1963, embarrassed and shocked the Left of his day. According to Ted Sorenson, one of his closest advisers, Kennedy’s August 13 speech saying “no” to temporary, limited tax cuts, was “without qualification…the worst” speech he ever gave. When he laid out his argument for permanent, across-the-board cuts on December 14, attacks came from all quarters. Senator Albert Gore Sr., mystified why Kennedy was making tax cuts his top priority over health care, education and welfare programs, refused to support it. John K. Galbraith, the devoted Keynesian economist, maligned the message as “the most Republican speech since McKinley.” Galbraith’s disciple, Arthur Schlesinger Jr., excoriated any legitimate consideration of tax cuts as “full of Republican dogma” being “the worst speech the President had ever given” (Stoll p.135). Even Sorenson distanced himself from the President, comparing the substance of his message to something Hoover would say…insinuating, “…and we all know what happened when Hoover tried it.” Even former President Eisenhower decried tax reduction as “fiscal recklessness.” The suspicious distance between Kennedy and liberals of both parties came to a head on this issue in a way none other did. This internal fight between a President, who was supposed to be of them, and an elite Left who inherited his legacy makes it all the more incredible that his plan – the fundamentals of it, anyway — became law in February 1964, three months after his death. It would validate his arguments that revenue would exceed prior levels and fixed, universal cuts would reinvigorate economic growth in a way more spending never could. Yet, his political heirs obscure that accomplishment to this day. Granted, the cuts were no where near the four Harding-Coolidge reductions in scope or intensity but it illustrated the very real power of the principle whenever championed. It would continue to fuel growth all the way until the recession of 1968. It would provide another potent demonstration for what was to be derisively called “supply-side” or “voodoo economics” when Reagan not only fought for but secured long-overdue tax cuts across-the-board in 1981. Whether JFK was willing to expressly acknowledge his debt to Coolidge, as Reagan did, remains unsaid. It may be argued, though, that his sponsorship of the Coolidge Memorial Foundation in the midst of his 1962 battle against runaway Federal expenditures and for permanent tax cuts (in order to restore economic growth and then budget surpluses) was perhaps the best tribute he ever rendered to “Silenced” Cal. A great piece by Bruce Frohnen at The Imaginative Conservative reminds us how relative JFK’s “conservatism” is. It reveals more of how far the modern Democrat Party has abandoned Kennedy’s patriotic New Deal liberalism for its subsequent nihilistic and suicidal ideology.